‘Brewed by women for everyone’. A slogan by Sparkke, who are changing the world one drink at a time. Held at Rocket Bar and Rooftop, we were lucky enough to be invited along to Sparkke’s 1st birthday, where we got to experience what Sparkke’s enterprise is all about. Sparkke are no ordinary brewery company. 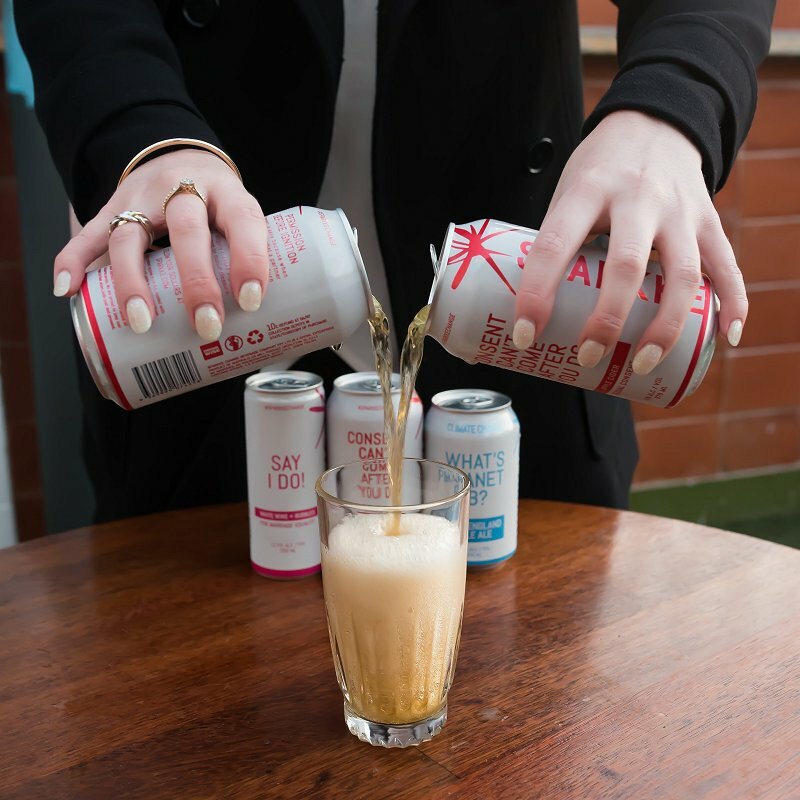 This Adelaide-based company is proudly one of the world’s first all-female brewing companies, and these women are doing something you’d would normally never see when it comes to creating and distributing drinks. Sparkke’s selection of delicious tasting drinks include: a refreshing, sweet Apple Cider, zesty Hard Lemonade, a perfect mix of sweet and spice Ginger Beer, a light, beautiful Pilsner beer, smooth and rich New England Pale Ale and last but not least, the tasteful and classy White Wine Bubbles – all which are an initiative for change. While all of these wonderful drinks are packed in cans, they are designed that way for a very important reason; as Sparkke’s mission is not only to make delightful beverages, but to make a positive change to the world. This positive change is created by raising awareness and funds for important social issues through beers, ciders, and wine – as we all like to have a conversation when we have a drink. 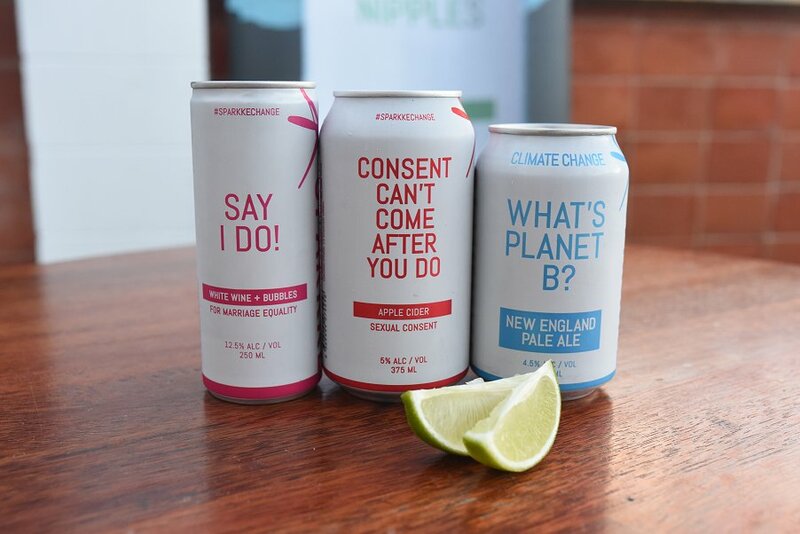 The social issues that are inventively printed on each can include: Sexual Consent (Apple Cider), Gender Equality (Hard Lemonade), Asylum Seeker (Ginger Beer), Change the Date (Pilsner Beer), Climate Change (New England Pale Ale) and Marriage Equality (White Wine Bubbles). Apart from the creativity surrounding these cans, Sparkke also donates 10% of direct sales to an organisation or campaign that assists with helping tackle these issues. Sparkke, along with their beverages, had many more major milestones to celebrate since launching in 2016. Some of these milestones were winning a selection of awards, including gold at the Australian Cider Awards and being nomination for Organisation of the Year at the 2017 LGBTQI Awards. They were also invited to be the official ‘bubbles’ sponsor for Elton John for his late-September Australian Tour. Sparkke have also achieved official sponsorship with both the 2018 Adelaide Fringe and the Sydney Gay and Lesbian Mardi Gras. As if the year couldn’t get any better for this company, Sparkke co-founder Rose Kentish, announced the development of Sparkke’s first pub, located in the Adelaide CBD, as well as the launch of their own brewery project. “We’re incredibly proud of our accomplishments to date, and to be able to celebrate and reflect on the year that was with our friends and supporters is such a privilege” Rose said. With a review of what Sparkke have achieved this year, it’s no telling what other things they’ll achieve in the years to come as they grow and continue to spread awareness of social issues. You can check out Sparkke’s website for a list and description of their amazing drinks, as well as where you can find what pubs and bars stock their products around Australia. Or, if you’re a pub or bar looking for a new addition of beverages, you can place an order online.